Visitors always provide the reason – or much needed excuse – for excursions not usually pursued on one’s own. In this case, a family visit to Zurich led to the sampling of the varied kosher cuisine available in Switzerland. 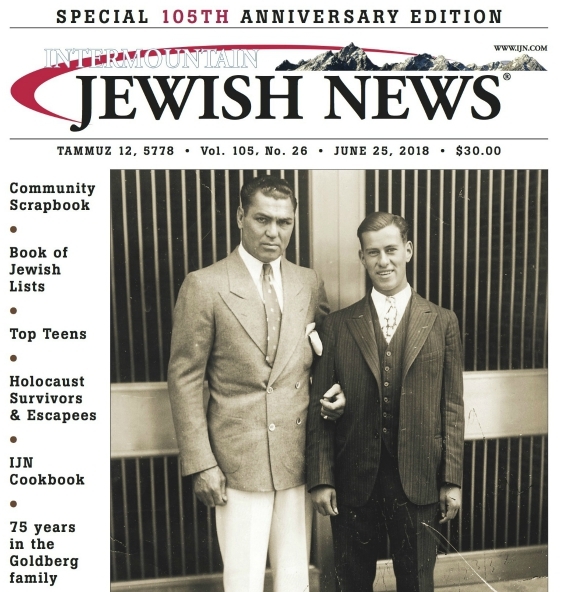 On the face of it, the observant Jewish communities of Zurich and Denver are similar – in size and institutions, however in some ways, Zurich’s observant community appears more vibrant. This could be due simply to geography: Switzerland is an extremely dense country. This trickles down to Zurich’s Jewish community, which is concentrated into two neighborhoods, both within walking distance of each other. So if one is in the Jewish area, one will continually see Jewish people all around – from little kids coming home from school to the elderly out for a walk. Driving is much less common in Zurich, therefore more people are out on the streets – Jews too. A not uncommon site in Jewish Zurich is the chasidic men traveling on bicycles, payot flying as they dodge traffic. And it’s the religious groups that greatly contribute to the vibrancy of Zurich Jewry. Zurich is home to diverse charedi communities, which by their very nature have a highly visible profile. But what does this all mean for the food? Turns out, the compactness of Switzerland contributes to the availability of kosher food. Over the river and through the woods – and over mountain passes too! – the week started off with a kosher Shabbat in the Swiss Alps. Organized by chasidim from B’nei Brak, but catered by Parisian Jews of North African descent the food was fresh, colorful and copious. Mounds of multiple salads chock full of flavor plus all the traditional Shabbat food. Upon returning to Zurich, over the course of a few days, we tried out the bagel café (sandwiches, salads, soups) which operates in conjunction with a Jewish bookstore, gelato at said café, a pizza place run by Israelis of Yemenite origin, and a traditional milchig restaurant. This isn’t to mention the kosher bakery and grocery store. You’re probably thinking, well, we’ve got most of that too in Denver. True, however here is where “compact Switzerland” comes into play. Just an hour from Zurich is Basel, a city on the Rhine resplendent with myriad museums…and two more kosher restaurants! A more formal meat restaurant, which we did not visit, and, in our collective opinion, the best of the kosher restaurants, a dairy café. At the latter we were first offered an amuse bouche, followed by beautifully presented, inventive summer salads, using the best of seasonal ingredients. All these options with a total Swiss Jewish population of only roughly 18,000. So, which is it, Denver or Zurich? Why not hop on a plane and decide for yourself! Wait a minute. You forgot the “Koscher Store” and the “Milk and Honey” falafel restaurant. Both, also, terrific (both in Zurich). I am also told there is kosher food available in Montreaux — and I bet in Geneva, too. Zurich sounds absolutely lovely. Maybe I will save up and travel there for my next vacation. Are you a tour guide? If not, would you be interested in considering being a tour guide? As of now, tour guide only to visitors, that is, friends and family. For those interested in tours or tour guides, there’s a Swiss-based company organizing Jewish cultural tours. They lead tours throughout Europe and areas farther afield and not typically associated with Judaism or Jews, such as India. And Ben M you’re right, there’s kosher food in Geneva as well as a sprinkling of kosher hotels that are open year round and a couple that open for Passover.